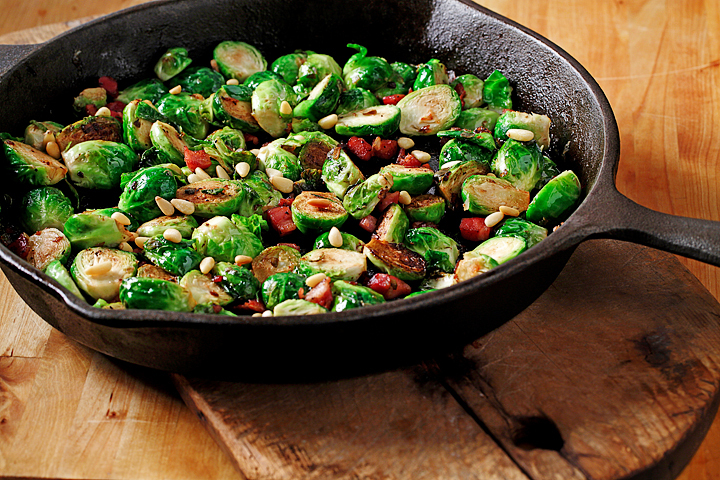 Add a little pizzazz to Brussels sprouts with crispy, mouth-watering pancetta. 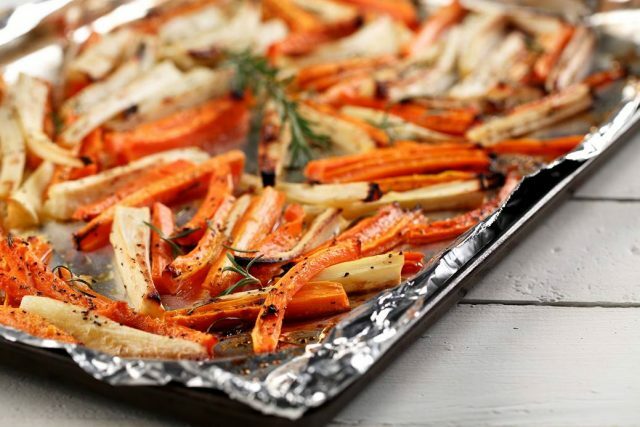 This makes a fantastic side dish or addition to your holiday meal. Pour canola oil into a large non-stick frying pan. Add pancetta and shallots. Cook and stir for 1-2 minutes. Add capers. Cook 1-2 minutes longer. Add Brussels sprouts to the pan and cook over medium heat until Brussels sprouts are lightly browned, about 3 – 5 minutes. Drizzle with canola oil and balsamic vinegar. Sprinkle with pepper. Remove from heat and roast in oven at 375°F (190°C) for about 15 minutes or until Brussels sprouts are tender. Transfer Brussels sprouts to a serving bowl and top with toasted pine nuts.